Yoga is a system of practices involving mind, body and spirit which has evolved over several thousand years in India. 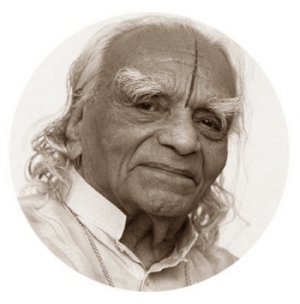 Iyengar yoga was developed by BKS Iyengar (1918-2014) based on classical hatha yoga. It involves a concentration on alignment and precision in postures (asanas), progressing from the base up and guiding students with more experience into Pranayama (control with breath). Students are taught awareness of posture and alignment starting with standing poses to build strength, flexibility and stability; progressing on to forward bends, twists, back bends and inversions in a systematic way. The system promotes calmness of mind as well as flexibility and strength of body, assisting in dealing with physical and mental conditions and the stresses of daily life. Props (blankets, blocks, straps, etc. ), individual guidance and adjustment are used to accomodate each persons needs, so that differing needs and abilities are catered for. The method also caters for all ages. Sequencing postures and holding postures for significant time are also features of Iyengar Yoga.